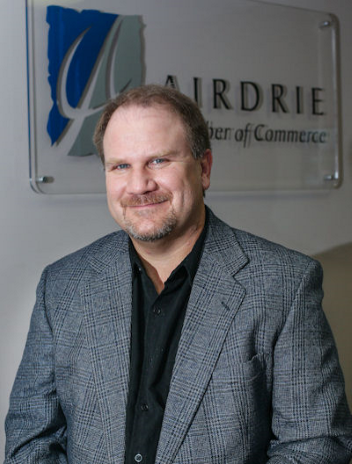 Mr. Jim Hassett of Hassett & Reid LLP has been named the recipient of the 2013 Airdrie Business Leader Award presented by the Airdrie Chamber of Commerce. This is the fourth year for this award, which is part of the Airdrie Business Awards program. Mr. Hassett began his legal career in Calgary. In 2004 Jim was the major partner holding 50% interest in Warnock, Rathgeber & Hassett in Airdrie for 7 years before branching out on his own with Kristen Reid to form Hassett & Reid LLP. Their grand opening at their new office was held January 4, 2011 and the firm has steadily grown from 6 employees to 11. The award will be presented to Mr. Hassett by the Airdrie Chamber of Commerce, the award’s sponsor, at the Airdrie Business Awards Gala on October 26th.